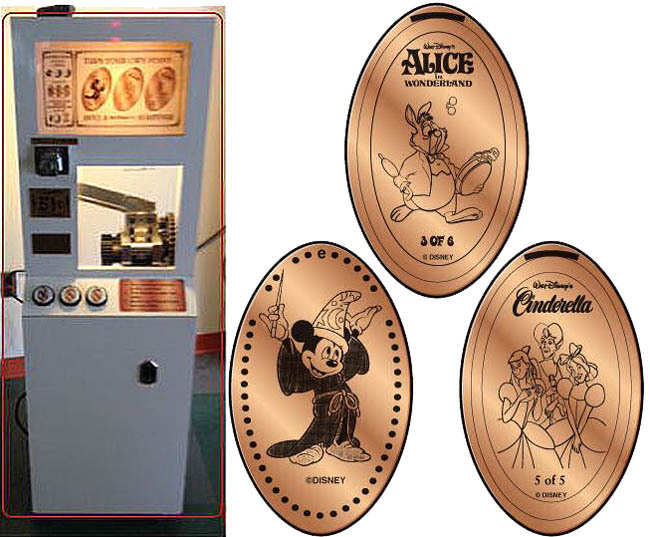 The quarter design was moved to another WDW Location. The Sorcerer Mickey penny was originally here but was moved to two other locations and then moved back here. It is now current in machine 1 here.